See what I did there? Scout doesn’t even know he’s being self-referential. This is the wall he likes to stare at every once in a while. The one with all the kooky cave paintings. You’ll see more about that next week, but this post is devoted to re-establishing the layout of the cave that Bigfoot and Scout share. We’re starting a big story and I want to make sure I lay down a foundation and don’t leave out too many details for those folks who haven’t read the first book. If I had a time machine I’d go back and tell myself not to design set pieces that take so long to draw. Look at this page — sure, the main room is pretty sparse. But then there’s the shrine to the Naturalist with all the props, followed by the cave of a billion bigfoots. I had to edit the page right before posting because I forgot to put the flashcube on the Polaroid. Is This The Mothman of Point Pleasant? 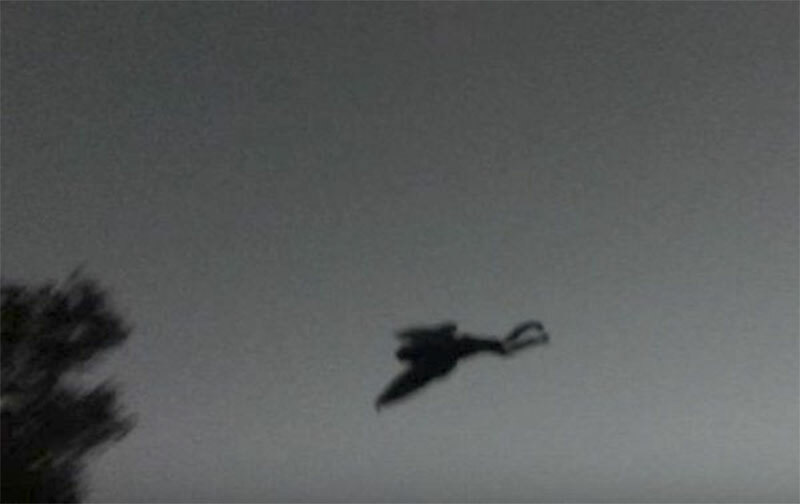 This photo was taken in in West Virginia in 2016, around the same part of the state that the Mothman of Point Pleasant was first spotted fifty years before. Was he returning for his anniversary party? Is it just an owl, as some skeptics claim? I don’t know. Here’s the 2016 news story from WCHS, and for those that want to dig deeper, here’s what Snopes had to say about it. You decide. I feel like the owl theory is a strong theory, but I hesitate to say anything that’d take away the magic. If you happen to be in the Pittsburgh area, you can pick up the latest issue of the Pittsburgh City Paper today. I drew the cover and a bunch of spot illustrations on the inside that all center around the big Pitt/Penn State game that’s coming up this Saturday. Drawing a bunch of tailgating football fans was a nice change of pace (but the mascots were the most fun). What is anyone’s excuse for not reading book 1? Loving this re-entry into the cave and can’t wait to see where we’re headed! Your dedication shows and is much appreciated! Careful what you wish for, that trained robot could go off on its own, and who needs competition! I really like the idea of Scout staring at the cave paintings like a television! Not only is it a great concept, but also a great vehicle for introducing stories!